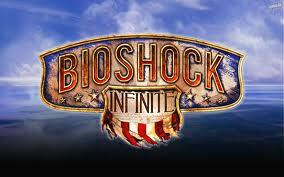 BioShock Infinite = Infinite costs? 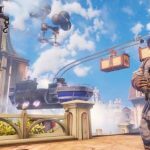 In case, some of you wandered how much does it cost to develop Bioshock: Infinite, the answer is easy to figure out: 100 million $. The total amount doubles when you estimate the costs of marketing the game! 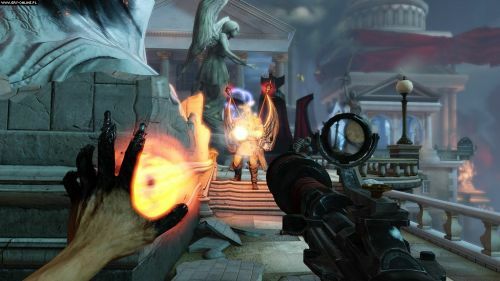 As we can see gaming industry is often moving to the same league as movie production, as games with each year are getting more expensive and more professionally developed… BioShock Infinite being the third installment in the franchise, took four years in development at Irrational Games, by a huge, nearly 200-person producing team. 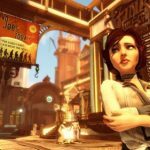 Game follows the previous titles from the series: Bioshock and Bioshock 2…. 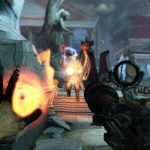 Costs are getting to levels where, you start asking yourself as a developer:”is it worth it?”… This, unfortunately won’t bring satisfying results to gamers too… Products will be more costly and gamers will often have to make a choice over their beloved titles, because of very simple matter (less money, more and more expensive games)… I hope that this won’t become our “tomorrow reality”, but there is obviously risk involved here and there… Lesson learned from the situation is that such great games as Bioshock Infinite may in the future have a hard time getting released, because of the immense cost and budget needed in order to produce them. Let’s hope that this scenario won’t turn into reality, that’s all we, gamers can do for now!